Between the sounds of the drill and a strange person peering into their mouth, your child may be frightened just to hear the words dentist. But in order to prevent cavities and enjoy good oral health, your child is going to have to frequent the dentist throughout their lifetime. 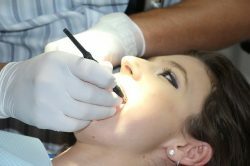 The following are tips to help make their first experience pleasant when you find a suitable dentist. 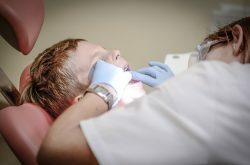 Children who are afraid of the dentist may have learned this fear from a parent, sibling or other adult. It could also be a fear from the unknown. Before their imaginations run rampant, it’s important to sit your child down and have a heart to heart with them. Although you may think that your child is too young to handle the information, educating kids on certain processes will build their trust and prepare them for what lies ahead. You can discuss what they may encounter during their first visit such as the cleaning, examination and rinsing process. An emotions journal can help your child come to terms with their feelings both good and bad. The journal also allows better insight into the things that scares them the most about the visit. You’ll find an assortment of games, books and DVDs geared around your child’s first dental visit. The materials are best at helping your child understand the importance of excellent oral hygiene and why a trip to the dentist is necessary. Coloring books, reading books and puzzles are useful in teaching your kids oral health habits and everything that they need to know about their first visit. Look for materials that are age appropriate and best relatable to your children. Before the initial visit, try talking to the dentist to see if you can make a trial run. If they plan on cleaning their teeth and examining their mouth, your first appointment may be best suited for a brief tour and meeting. Here you child can tour the office and meet the staff. They may also benefit from sitting in the chair and touching some of the various non-scary instruments. When the time comes for the actual visit, your child will feel more comfortable within the setting. Although your dentist office may see children at their practice, your child may feel more comfortable with a pediatric dentist. This type of practice is geared for younger patients and knows how to alleviate their fears no matter what type of treatment is needed. Their office is also designed with the younger child in mind, and they may have toys, books and movies available to hold their interest upon entering the office. Children have a vivid imagination and love to pretend play. 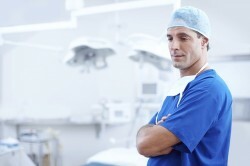 You can help alleviate their fear of the dentist by practicing at home. You can begin by having them lay on the couch and practice looking into their mouth. Allow them to watch as you brush their teeth with their favorite flavored toothpaste. Explain the process as you go along. When you’re done, allow your child to take the lead and assist you in your pretend dental visit. Offering your child a special reward after the dentist can give them something happy to think about during the visit. Whether it’s a trip to the toy store, a special book, video game or ice cream, the dentist trip won’t seem quite as frightening. 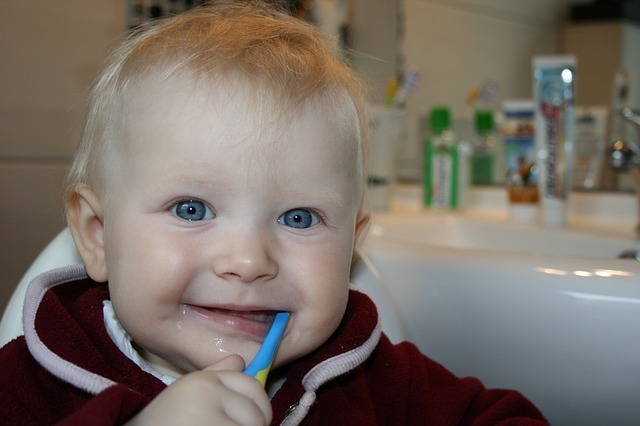 It’s important for parents to teach their children good dental health habits early on in life. While brushing and flossing are two easy skills for kids to adopt, regular dental checkups are equally critical. By using the above tips to help your child overcome their fears, you’ll set a good example for future visits. It was a nightmare getting my kid to the dentist for his first visit! I wish I had these tips then… Good thing he loves my dentist now.